Books by Lee H. Baucom, Ph.D.
For 3 decades, Dr. Baucom has helped couples and individuals to thrive. The author of several books and creator of several online courses, Dr. Baucom hosts 2 popular podcasts. He is also Co-Principal of an international life coach training academy. After training as a therapist, specializing in work with couples, Dr. Baucom realized the power of coaching. 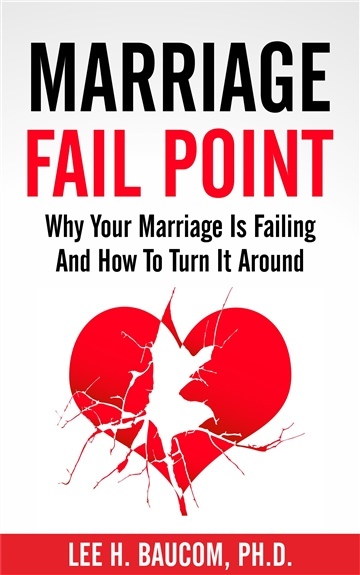 After gaining additional training, he used his experience and tools to re-write the rules of helping hurting marriages. This resulted in his popular and effective program, the Save The Marriage System. Dr. Baucom also writes and speaks about how to build a thriving life, regardless of the difficulties in one's life. He helps people focus on finding their purpose in life, developing a deeper sense of meaning in the process. In his personal life, Dr. Baucom has been married for 30 years and has 2 adult children. In his spare time, he trail runs, paddleboards, scuba dives, and practices jiu jitsu.